After making maximum noise in the end of year DJ lists, Mama's massive "Unmask Me" gets a well deserved repress for 2k18. 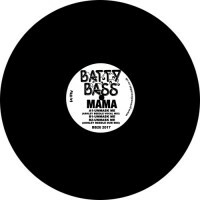 In its original form (here reduced to a more pressable length) "Unmask Me" twists and intertwines for 16 minutes with rippling bass and powerful vocals, sitting between dub and house as the perfect combination of Mama's UK upbringing and dark Berlin sensibilities. Legendary house pioneer, Ashley Beedle offers a glistening, summer, deep house beauty on his remix, serving stunning rhodes on top of shuffling percussion, while Mama's introspective message heads for the heart. Sil says: Tasty treat this one! After dominating setlists last year with big names like Mison, Harvey et al getting stuck in, Ashley Beedle's blinding rework of Mama's dub/house hybrid "Unmask Me" is back. Don't miss it this time!